There’s a ton of ambiguity around who Crestron is, what it is they do, and why we work with them. You may find yourself in that unsure situation like when you were in grade school confused in class. Remember when the teacher would ask if anyone has any questions after talking entirely too fast through a difficult lesson. You don’t even know what you don’t know so you’re probably not going to ask any questions. We are here to quickly tell you everything that you need to know about them and why what they do is so cool! Crestron is the number one smart home tech producer in the world. They are responsible for linking a majority of homes with smart technology and elevating lifestyles everywhere. Ask anyone with a true smart home (not a DIY one), and they’re likely to have tons of Crestron gear in them. The reason is that they integrate with almost every single third-party smart tech company on the market. This may require extensive programming, but luckily, their installations are structured so that you don’t have to worry about any hassle in setting it up. They have installation companies (like KPEvolutions) do all of the installations for you. Crestron develops smart home environments that truly enhance the way you live. We're not talking about putting a grainy, one angle camera on your doorbell. They incorporate smart tech into every available aspect of your phone. Accessories - Mounting hardware for your gear and power supplies to power everything. Control hardware and software - Everything to run your system and the software that makes it all possible. Control surfaces - Keypads, light switches, remotes, and touch screens. Interfaces and infrastructure - The wiring, connection kits, and everything that links your gear together. Lighting & environment - Climate control, integrated lighting systems, lighting fixtures, locks, sensors, wireless networked lighting solutions. Shading - Roller shade systems and drapery systems. Video - HDMI/video solutions, all in one solution, fiber optic solutions, digital media endpoints, digital media switchers and boxes. As you can see, it’s more than just a company that sticks a Nest thermostat on your wall. They integrate elegance into your home that has the best form possible while providing a luxurious function to everything. Why does KPEvolutions partner with Crestron? Well, while they make the tech, someone has to install it. With this top-of-the-line tech, comes top of the line expertise required to install it. The reason we partner with them is that we believe in their mission - providing high-end homes with the most elegant, luxurious lifestyle possible. We wanted to marry our passion for technical home building and premier home function that transcended “nice”. 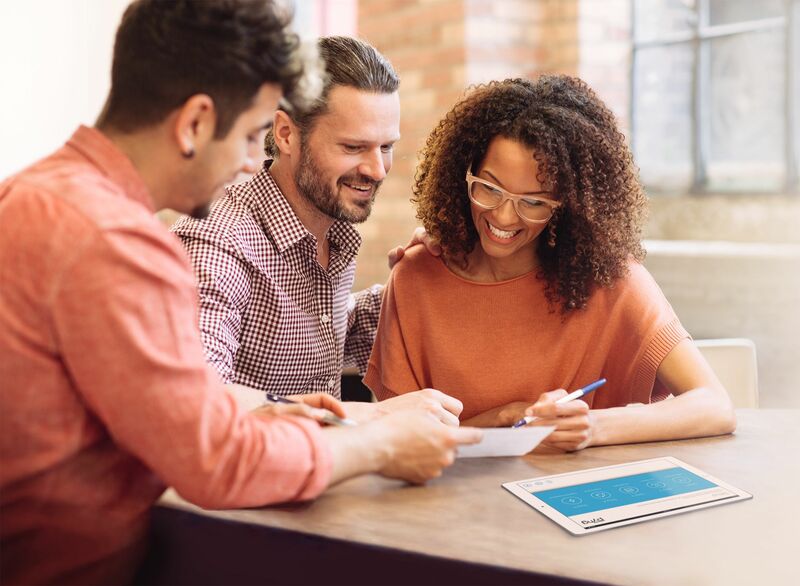 Partnering with Crestron to become one of their premier dealers, we are able to enhance the smart home experience to a new level by integrating the best smart home gear in the world into your home. Crestron, is the smart tech company you need to look into if you’re going to invest in a smart home. They have some of the most advanced gear, seamless integrations, and ease of use. They partner with local providers so that you tell them what you want, they reach out to Crestron for the actual gear, and they work together to install everything for you. This way your luxury home comes without the hassle. 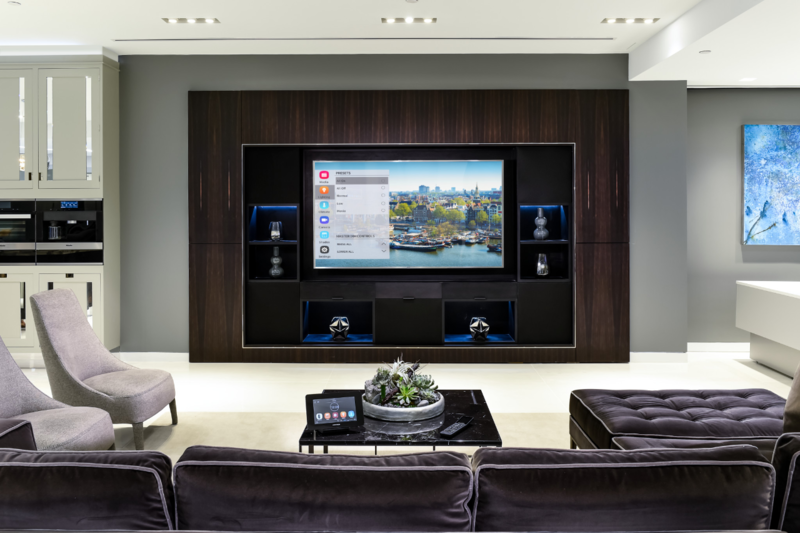 Interested in finding out what Crestron can do for your home? Reach out to us and we can consult on everything your home could use to elevate your lifestyle.